There is a dangerous new trend among teenagers. One that is so popular, as the fact that it's still circulating the more to several schools. schools are now warning parents to watch out for their children. The reason is that some parent might think that what their children are holding is simply a technology flash drive which it simply looks like it. 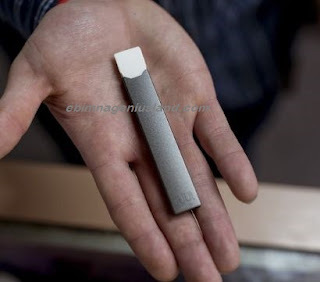 Therefore, teachers are highly saying they don't know how dangerous this Juul could be in the heart of several lives that they have seen among the little children on the campus that uses the so-called. Juul is really taking over, and we don't have to let that happen, We must not let any negative impact take over our own children, especially the children we claim to love so much. Every parent is advised to take maximum advantage of this information, to announce to the homes, and also to their children how deadly the so-called Juul might be. Now, Some people are asking the same familiar questions like we all do: What is Juul? In a nutshell, Juul is just a type of vaporizer designed so discreetly that most people don’t even recognize them as an electronic cigarette. An electronic cigarette is very harmful to the human body, so to say many have gone through the deadly harm e-cigarette might have caused in their lives, and we are advising parents to never let their children be a victim at all. It's better for every parent who is reading this news today to at least share this news all around your vicinity, your village, your community, even in any school around you. If at all you want the life of your children to be saved wherever they are, you have to save other people's children around you. Our children are meant to enjoy and maintain a standard life at their tender age not an age when they will start smoking, and the greatest part of the affection is that we don't know whether it might lead them to continue smoking after they have exhausted the Juul. Not only that Juul is just so small to the extent that it's not noticeable, It's also chargeable using a USB slot, which can be charged using a laptop and a charger too. Many children are already risking their lives unknowingly and we are the ones to stop it. If we don't it will hurt and kill a lot of souls especially our young children. Some may ask again, Is Juuling really popular? es, it is already becoming more popular than we thought. Juuling was invented by two Stanford grads in 2007 and has since become the best-selling e-cigarette on the market, capturing 32 percent of the market share. Some people that started using it when it was invented, used to hide, but today they're already out to initiate it on other people especially the young. Juul is not a good intake to the health, no matter your age. we must have to tell people how deadly and harmful the so-called Juul is. If it's not being advertised a lot of souls will be damaged.